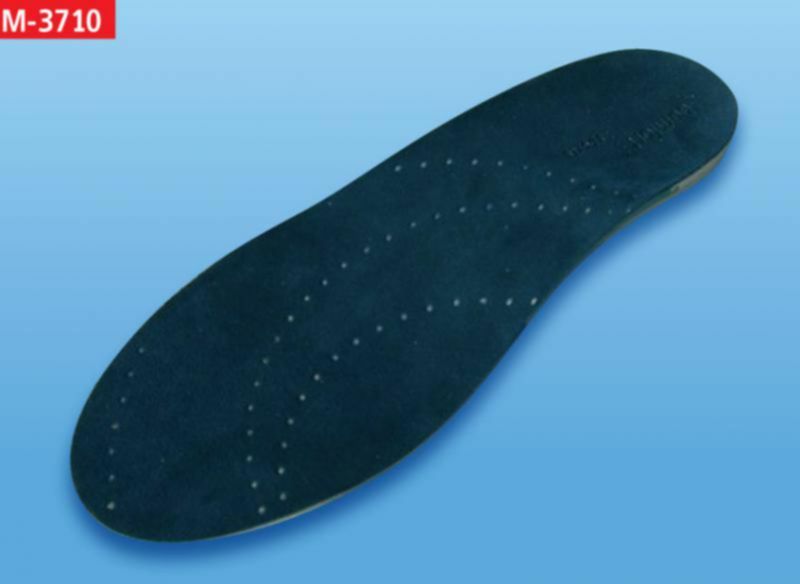 Ensures a non-slip contact surface between the foot orthosis and the shoe. This top cover provides a comfortable contact layer with the foot. The presence of silver ions helps to prevent both bacteria and odors. This layer, made of EVA, is defined in movement-specific guidance, support and cushioning zones, which are arranged (vertically) adjacent to one another. The functional zones work biodynamically – the foot is optimally guided in each step. The moderate arch supports of the synthetic core and the slightly cup-shaped heel support the foot arches and improve hindfoot stability. The special grip film ensures a non-slip contact surface between the foot orthosis and the shoe.